Pardew’s side were thrashed 3-0 by Southampton at the weekend. Newcastle United owner Mike Ashley will stick by Alan Pardew despite calls to sack the under pressure manager, BBC Sport reports. Five managers who are most likely to get the sack – Check out the men who could get sacked before the end of the season. The Magpies have yet to win a game this season and sit bottom of the Premier League table with two points from four games. Despite this, Ashley is set to reject calls to sack the former Southampton boss with Pardew expected to be in charge for Saturday’s home game against Hull City. Reports over the weekend suggested Tigers boss Steve Bruce was the favourite to succeed Pardew if he was sacked although the former Sunderland manager has since called the speculation ”disrespectful”. Norman Watson, chairman of the Newcastle United Supporters’ Trust, said a large number of supporters want both Pardew and Ashley to leave. “One of the reasons why Pardew is so unpopular is he simply does what he is told,” said Watson, whose group has 800 paid members and 25,000 email subscribers. 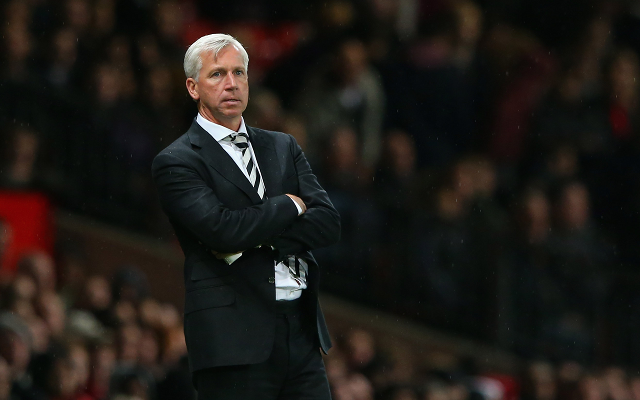 Mark Jenson, editor of fanzine The Mag, also believes Pardew should leave St James’s Park. “I think that fans for a long time have thought what is the point of getting rid of Pardew because we will get someone just as bad but I think that the time has come when I think it is very hard to see how he can carry on,” he told BBC Radio 5 live. Newcastle have been in awful form throughout 2014, winning just five league games. However, although the fans patience appears to have run out, it seems the club’s hierarchy are still willing to give Pardew a chance.